The LR3 truly is the most competent SUV in its price range. If you and your family spend weekends traveling deep into unexplored territories, this vehicle stands a good chance of getting you there - and back. A well built machine that is perfect for road trips or just as a daily driver. My family owns a dealership. I bought this car directly from a wholesaler where I was not informed on the previous owner. That being said, the car has only had minor hiccups but nothing a speedy trip to the mechanic cannot fix. Overall, a wonderful daily driver. Have been driving this car for almost 4 years and it is showing no signs of slowing down! 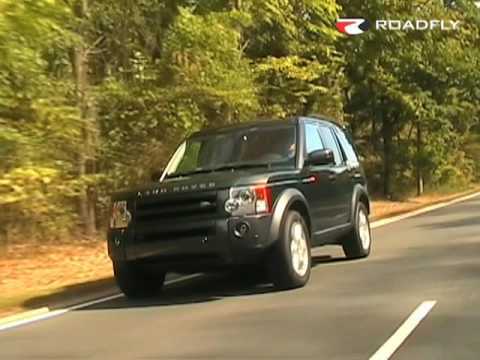 2007 land rover lr3 review. The 2007 land rover lr3 is a large car with tons of space which I love and it had a solid navigation system although it can sometimes be frustrating. Can hold 7 people so it is easy for road trips. In addition it is good during the winter as it is good on snow, ice and any other types of surfaces. If you buy a Land Rover, you do so willing to have a low gas mileage! So far, I've not experienced any issues whatsoever with my car. It's got a really comfortable and quiet ride, it is a bit slow to pick up, but it's really agile - especially turning corners. I've been in other large vehicles that have a poor turning circle, this feels really nimble.